Blogging may be a hobby or a business to you. Whatever your approach a common question asked is ‘where can I find blogger opportunities?’ There are so many platforms available, often websites offer products or giveaway items, rather than paid opportunities. If you have been blogging for two days don’t expect a free Ferrari. Of course, go ahead and pitch but as you build your social media following and engagement then you will find more brands and PRs contact you, and the better response you will receive. Bumper sticker slogan of the blogverse put in the graft. The list below are the top sites I have tested, where regular opportunities are updated. That said, I would advise you pick five of your top platforms and keep an eye on these, otherwise you will be trying to juggle too many balls. Update your stats and following on the profile pages, it does make a difference. Make life easier for yourself. Set up email alerts for ease and if you don’t use the same username and password for each make a list. It will stress you out having to reset them every two weeks. Create a template of blog information, a brief summary, key figures etc. so when you join up you can copy and paste. It’s all about efficiency and saving time. Most of the websites offer free or paid memberships, there are also a gazillion freelancing sites such as Fiver and People per Hour where you can list your skills and receive job offers. But, we will save that for another day. 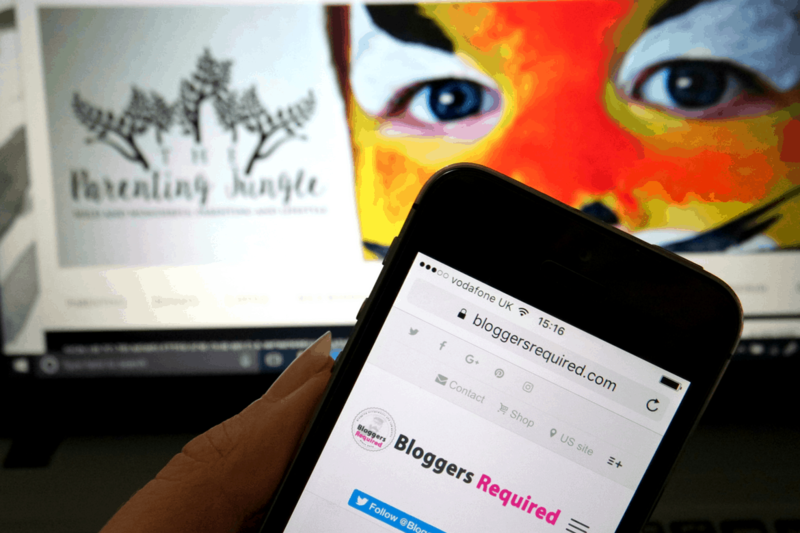 The top #pblogger sites you want to sign up to are Britmums, Mumsnet, Netmums and Tots100. Opportunities are popular and sometimes few and far between, but usually well paid and with reputable and sought after brands. Probably the most commonly known. I have got a few ‘assignments’ from here before, often pitching through a form on their website, you can also add your competitions to their listings. It’s, easy to navigate, has clear sections i.e. parenting and lifestyle, perfect for the newbie blogger. They have Instagram opportunities too for those of us who prefer being behind a lens. Similar to BR this website allows you to save brand favorites as well as actively approaching brands for collaborations. You can add your social media following, blog content and images to your profile; the better the profile the more appealing you are to for potential working collaborations. Mine needs some serious updating. There is blogger to blogger outreach so you connect with other writers. Searchable opportunities are available in ‘campaigns’. Again you apply via the website through a direct application form. The little sister to the above sites the BH you post resumes and apply for opportunities on the site. The postings are informative and are clear on what they want from bloggers and the compensation, Downside, there are not many live opportunities. A new one for me. An easily accessible site, very simple, you need to tweet to gain access. Social media stats aren’t added but your Alexia ranking is required. The aim is to connect bloggers looking to request information or receive products to review on their blogs with companies and brands. I sent out a request for product reviews this week and will see how responsive they are. No searchable opportunities. Confirming social media accounts is a bit of a long winded process as they all need to be verified. Prices are in dollars, though as soon as I registered I received an opportunity almost immediately. If you refer a brand to them you get $500. This is one I haven’t quite got a handle on, the free account you sign up to comes with a free media kit. A useful tool for newbie bloggers that want to learn about audience analysis. I also have been receiving regular emails with opportunities that are clearly priced but the application process is a little confusing. A new platform in regards to the UK market so you can currently sign up but no opportunities are available as of yet. Watch this space. It is another platform that offers reader insights. You cannot yet add Facebook to its SM platforms so if that I where your primary following is then it may limit you. A downside seems to be you can’t apply to opportunities in categories that are not relevant to your demographics. Specifically focused on UK brands, the main categories are fashion, retail, and technology. You sign up via an onsite form and they contact you via email. Connects bloggers with advertisers, there are more opportunities for content placing and advertising lots on websites than product reviews. Again you sign up via the site and brands contact you, you can also keep up with the live opportunities on their FB page. A comprehensive site the profile sections can be quite lengthy to complete. Payment is in $. You can register as a writer or blogger. There is a lot to offer on the site and as such I find I can get a little lost. I realised I missed a load of job ‘orders’ as I didn’t know how to properly access my dashboard. They could do with a how to guide! A slightly different platform, you sign in via a social media platform i.e. Instagram and earn credits instead of payments. There is a range of live campaigns. Feedback from other bloggers are that brands have changed what they want midway through campaigns. You have to be invited to campaigns you are suited for and cannot try for ones you are not. Simple sign up and you apply for campaigns, they are of a good quality though a little sparse. There are a range of applications and you simply click to apply. I like the ease off this but do feel a bit hmm as I like being able to sell myself through narrative pitches, what I can offer, the ‘pick me, pick me’ kind of thing. You can apply with Twitter or Instagram. Easy profile creation, one glitch is that if you have a private FB it links to that and not the page, and you set up a media kit from scratch on the site which is a bit of a pain if you already had one made. Response Source and Press Loft where influencers can send enquiries to PR’s. As these are new to me the lovely Fi from A Mum Track Mind offered some tips for how to make a request that will get you noticed! The best way to do it is to have a very specific idea in mind. Don’t approach it with a ‘I’m looking for products to review’ approach. Instead pick a niche and narrow it down as far as you can. Include as much detail as possible about your blog, stats and the types of posts you do – really sell yourself – don’t be shy! Including information such as reach, audience demographics, social following and page views etc is really important as well as specifics as to what you are looking for. For example I might say I am looking to work with brands on a new healthy living series, featuring the best vegan produce in the UK right now.’ The best way to do it is to have a very specific idea in mind. Don’t approach it with a “I’m looking for products to review” approach. Instead pick a niche and narrow it down as far as you can. Include as much detail as possible about your blog, stats and the types of posts you do – really sell yourself – don’t be shy! Including information such as reach, audience demographics, social following and page views etc is really important as well as specifics as to what you are looking for. For example I might say I am looking to work with brands on a new healthy living series, featuring the best vegan produce in the UK right now. If you sign up to The Lifestyle Blogger updates there are regular opportunities listed. Be proactive and Also, keep an eye on Facebook BlogPR (UK) and the Twitter hashtags #BloggersRequired, #PRRequest, #BloggersWanted #Bloggersrequired etc. What are your favourite platforms, are there any you wouldn’t recommend and do you have any tips for pitching for opportunities? Great post PJ and really good of you to write a post that will help so many newbie and oldie bloggers. Ooooh this is really handy, will work my way through these. This is a great list – I’m just getting to the stage where I feel confident to go looking for opportunities. I’ve joined some of these but will save this for reference and get going soon.